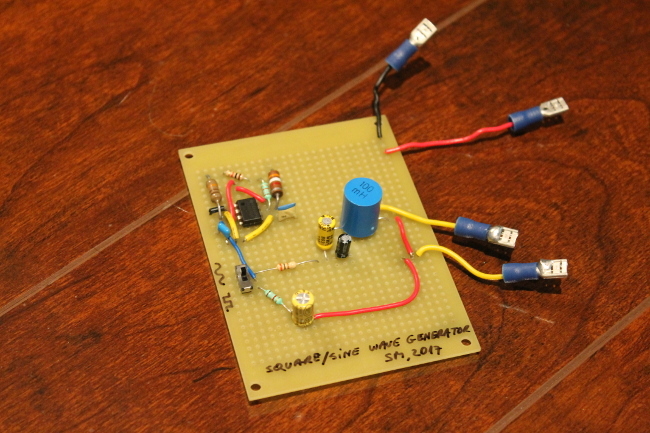 I've built this circuit to listen to the audio differences between square waves and sine waves. The sine wave sound is harmonically-pure and warm (even soothing). The square wave sound is harsh, strident; it is somewhat reminiscent of older video game systems. The original Game Boy's two out of four audio channels generated square waves, giving its particular audio characteristics.